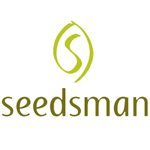 Seedsman Feminized cannabis seeds are available in nine different strains featuring some original old favorites as well as some new cannabis seeds. The original Seedsman seeds offered great quality and value and Seedsman Feminized is no different in that respect. We are sure that these new feminized seeds will be every bit as popular as the standard Seedsman range, with new strains such as Power Africa, Nemesis, Mama Mia and Velvet Bud Feminized being complemented by old favorites Original Skunk Number 1 Feminized and White Widow Feminized.